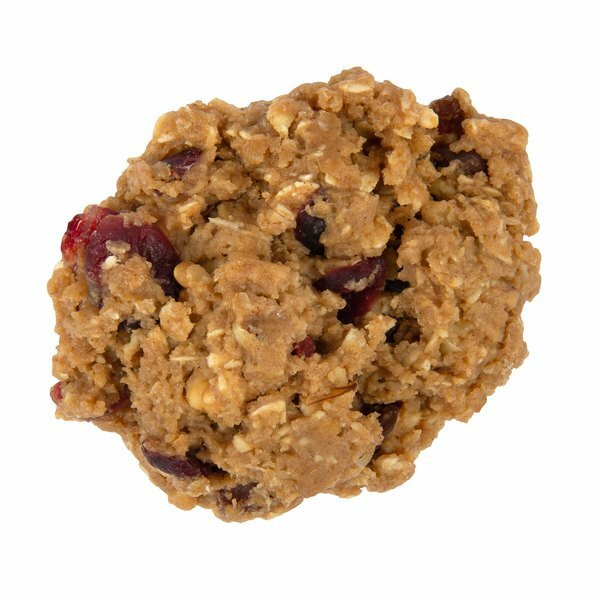 Packed with cranberries, walnuts, raisins, honey, and coconut, these Hope's Cookies 3 oz. gourmet harvest cookie dough pucks are a healthy cookie creation! 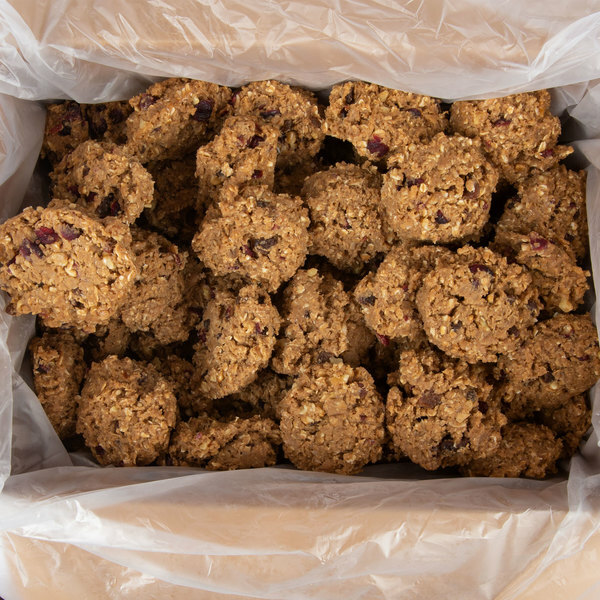 These cookies are made with only whole wheat flour and rolled with oats. They contain no preservatives, additives, or trans fat so you can offer a great alternative to traditional cookies for your health conscious customers. The perfect addition to cafe or diner dessert menus, serve these gourmet harvest cookies with a warm cup of tea or coffee for a truly enjoyable dining experience. 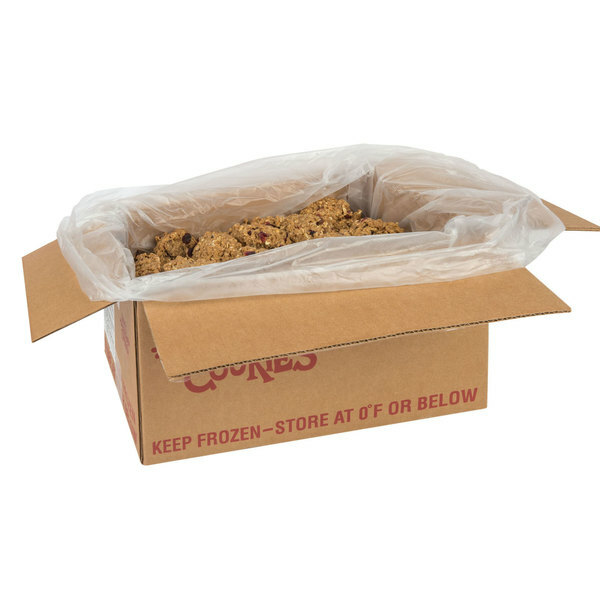 These cookies are also great for serving at snack bars and kiosks to expand your offerings. Hope's Cookies is dedicated to creating the perfect cookies. Boasting 100% natural ingredients, Hope's Cookies are proudly produced without the use of chemicals, artificial colors, flavors, or preservatives. Premium ingredients, testing and tasting, and innovation have allowed the company to grow and thrive. For delicious all-natural cookies, choose Hope's Cookies! This item is shipped frozen. You will need to ensure this item is stored at 0 degrees Fahrenheit or below.